Dr. Nguyen uses Invisalign® to give you beautiful, straight teeth. Do you or your teenager have a crooked smile? With Invisalign you can straighten your teeth and improve your smile. 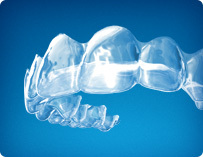 Invisalign uses clear aligners that are custom-made for your mouth. Best of all, they are almost undetectable. Dr. Nguyen uses Invisalign, the clear alternative to braces, to give her patients the smiles they want without the hassle, discomfort and appearance of metal braces. She offers a Free Consultation so you can decide if this type of orthodontic treatment is right for you or your teen. If so, she will create a treatment plan based on impressions of your teeth that will quickly, painlessly and invisibly enhance your smile. Unlike traditional metal braces Invisalign uses high-grade plastic trays, called aligners, which fit closely over your teeth. By changing your aligners every two weeks they gradually move your teeth into their final position. 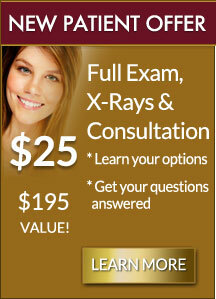 Every six weeks you’ll visit Dr. Nguyen for a checkup and to monitor your progress. The aligners are clear and are virtually invisible as they reshape your smile. Braces use metal brackets and wires that can poke and irritate your mouth. Invisalign’s aligners are made from smooth plastic that won’t irritate your mouth. And unlike metal braces that make brushing and flossing more difficult and time consuming, Invisalign’s aligners are removable. This also means with Invisalign you can eat whatever you want! Treatment time with Invisalign is usually much less than with traditional braces. And since the aligners are clear, you’ll see improvements in your smile long before completion of your treatment. Invisalign is an affordable alternative to braces for people with complete jaw growth and full adult dentition. The system is effective on a wide-range of conditions. And, again, both adults and teenagers can straighten their smile with Invisalign. Dr. Nguyen will perform a thorough oral exam and smile evaluation to determine if you or your teen is a candidate for Invisalign . 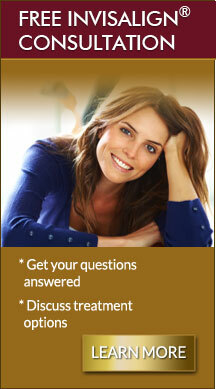 You’ll get an opportunity to discuss treatment options with Dr. Nguyen and get any questions you may have answered. Less mouth irritation – no wires! “Dr. Nguyen was very friendly and did great work. I had a crown or two done and I was very pleased with the results.